DAV Elementary & Montessori School – Give your child the best of both worlds! 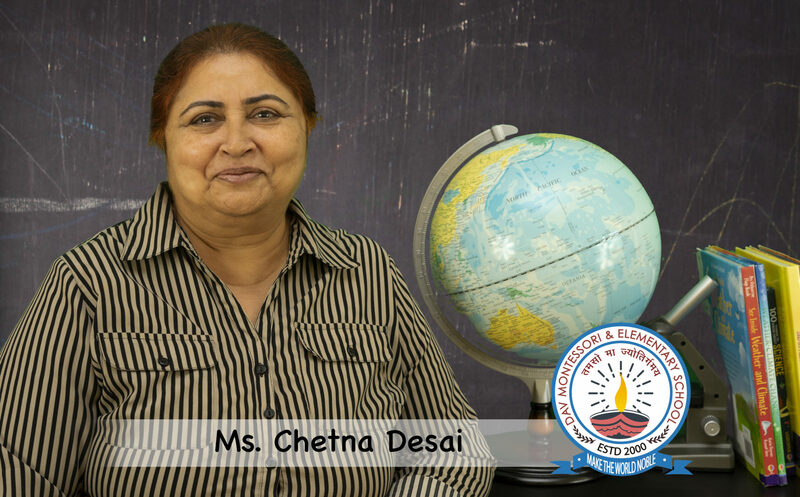 DAV Montessori, a non-profit private Montessori and elementary school started in 2000, was a vision of the Arya Samaj Houston’s Management Committee, who felt the need for an elementary school to provide a quality Montessori education. Our mission at D.A.V. 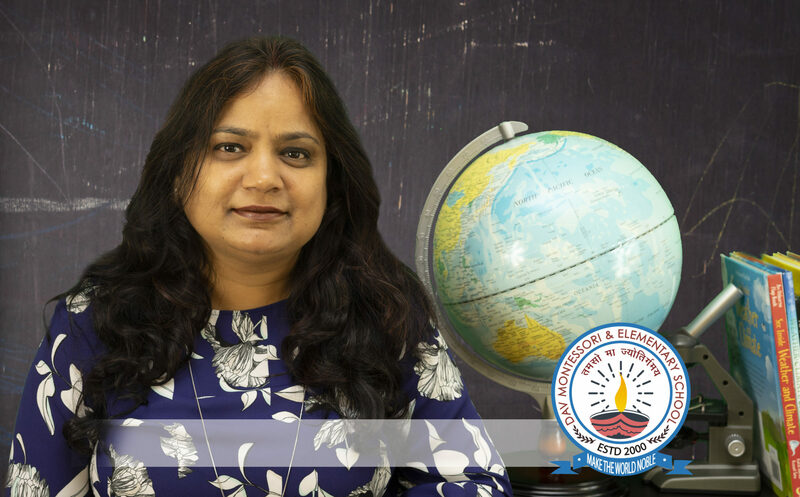 Montessori and Elementary school is to provide academic excellence , spiritual growth, knowledge of Vedic values, Indian culture and Hindi language to all our students. Find your course, and the road to your child’s success. Our vision is for strong and resilient students where all have adequate access to the support structures required to succeed. The preschool class at DAVM has students between the ages of 2.5 –5 yrs. Montessori materials in the classroom helps the child develop the necessaryconcentration, coordination and working habits needed for successfully performing at advanced levels in the language, grammar, math, geography, science, and social studies. If we were able to harness mindfulness and meditation from an early age, what would the world look like? Here’s why we need to have our kids adopt a regular meditation practice. At D.A.V. 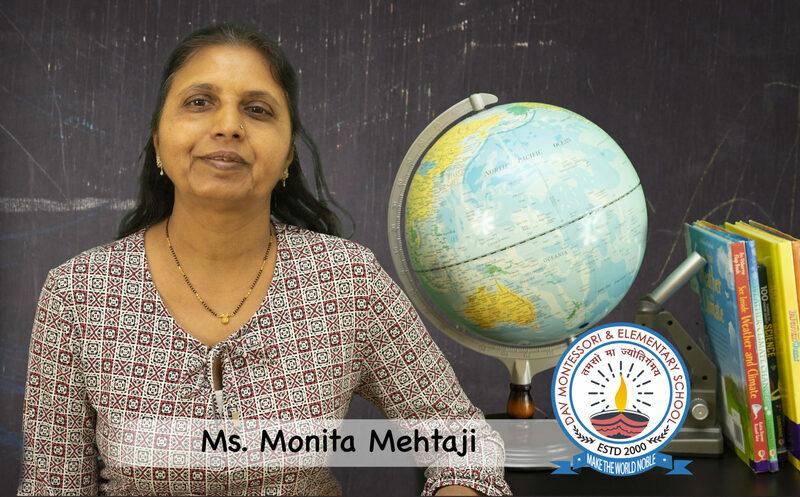 this is a unique class that combines Montessori based teaching along with text books. as per the Texas education standards. Everything that children have learned in previous years comes together in Kindergarten and First Grade. I have found that yoga can help counter these pressures. When children learn techniques for self-health, relaxation, and inner fulfillment, they can navigate life’s challenges with a little more ease. 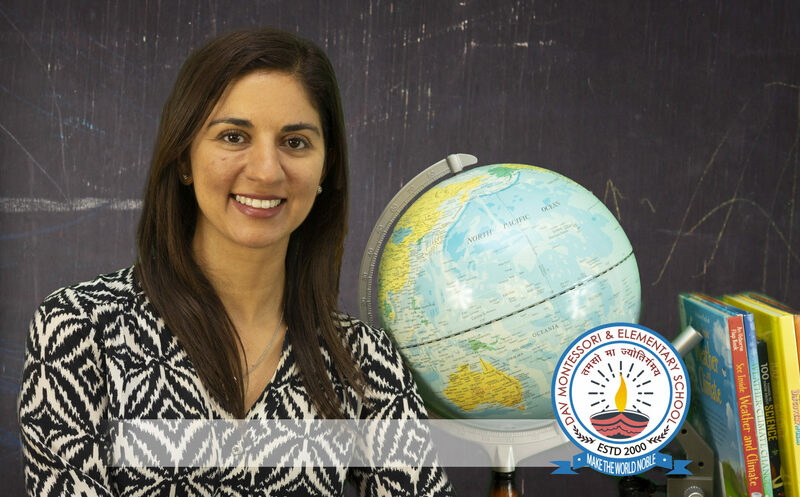 The elementary program uses a set of high-quality academic standards knowns as Common Core to develop foundational skills across our English Language Arts, Math, Science, Social Studies, and Technology curriculum. This program empowers students. Language connects us to the culture of a country. Culture is a way we behave with others. Research shows that Early language learning results in better pronunciation and have higher level of proficiency in communication. Hindi is the fourth most spoken first language in the world. We’re now enrolling for Spring 2019. The admissions process is designed to provide you with detailed information about the programs offered at D.A.V. Montessori School. We would love for you to come by and visit our school, and see why D.A.V. Montessori & Elementary has been the school of choice for many years. A combination of Montessori and a traditional elementary method of education with personalized learning plan, designed to help each child reach their full potential. A positive separation experience is encouraged to help the child make a successful transition from home to school. A carefully prepared environment with challenging and stimulating materials provide an opportunity for the students to explore and experiment. As children work together in the classroom, they are gently guided in a manner, which enhances their innate sense of independence, order, respect, and kindness. The curriculum for KG and first grade includes Language – reading, writing, comprehension, grammar, creative writing, Mathematics—Decimal system, linear counting, addition, subtraction, multiplication, division, money, fractions, Geography, Botany, Science, Sensorial, Practical Life, Hindi, Yoga, PE, Vedic Mantras and prayers. Occasional Field trips and stage performances help build students self esteem, confidence and teach cooperation and team work. 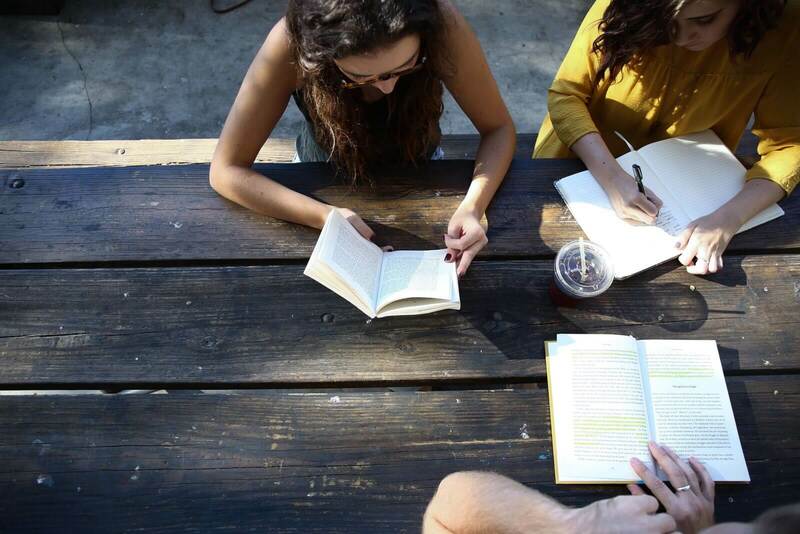 Develop strong reading comprehension and writing skills. Begin exploring the wonders and principles of science. Learn more about the world around them. Interactive digital resources and S.T.E.A.M. skills are also woven into lessons, labs, and projects to prepare students for 21st century life. Your child won’t learn technology skills in isolation, but rather how to apply these skills to everyday tasks. 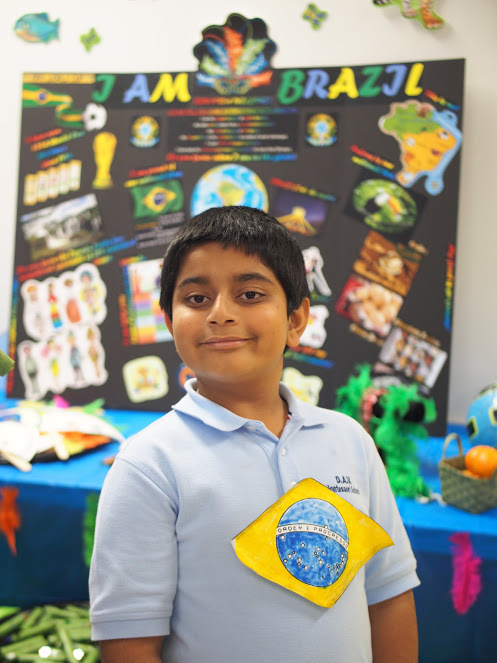 In addition to the academically rigorous curriculum, students support their cognitive and academic performance through learning a foreign language, Hindi. Students’ social and moral development is nurtured through Art, Yoga, and Physical Education. The success of the elementary program is due to several factors. 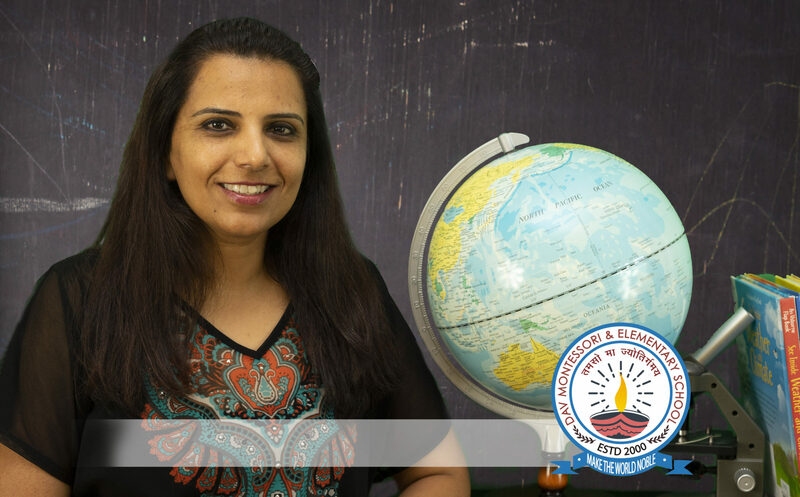 First, our highly qualified and talented teachers provide extra support and encouragement when needed, while fostering independence, teamwork and creativity in all students. This is possible due to the low student teacher ratio and small class sizes. Weekly tests are conducted along with unit tests across subjects to gauge mastery and modify scope and sequence of curriculum as needed. Hands-on class and take-home projects offer an opportunity for parental involvement while encouraging students’ creativity. Preparation and testing of the IOWA National standardized tests in Reading, Language, Math, Science, and Social Studies is conducted annually to measure students’ abilities. 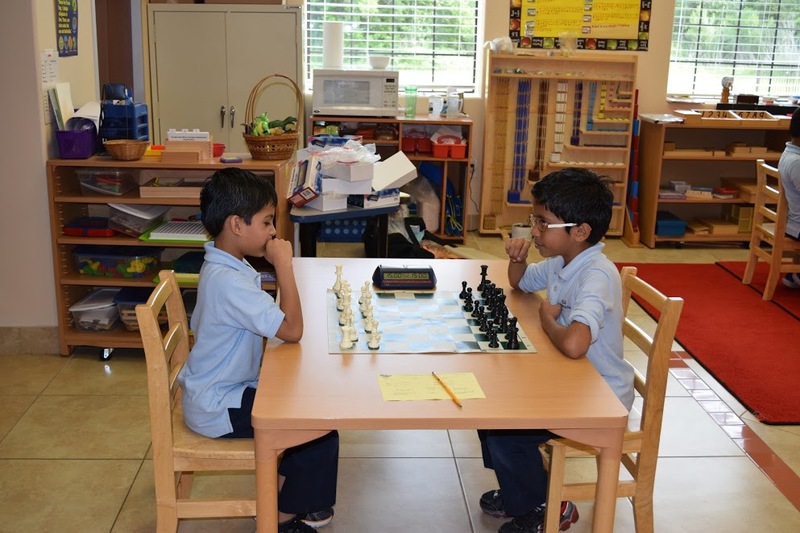 The PSISA (Private School Inter Scholastic Association ) ,Lego League ( Jr.FLL) , Chess, Indian Music, Yoga, PE, Art Class(Monart) and Digital Animation are offered to DAVM student’s after school for a nominal fee. These classes are held on the school premises. For more information, inquire at the school office. DAV Montessori & Elementary, a non-profit private school, has Bus Service available for all students with coverage in Katy, Sugarland & Energy Corridor neighborhoods.